How will water loss affect stream life? It's an easy question to ask, but assessing the impact of water loss from waterways is complex, requires expensive equipment, ecological knowledge, and an understanding of hydraulic principals. Aquatic Ecology is well-qualified to assess the impact of water takes (abstraction) for farmers, local authorities, and other clients. 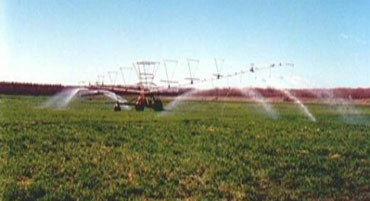 We carry accurate flow-gauging gear, and can provide farmers with an accurate flow estimate on the spot. Aquatic Ecology can also undertake flow depletion modelling for simple unbraided rivers. Elements of hydraulics, hydrology, and ecology are used to quantify the environmental impact of water loss from single-channel waterways. These impacts are then placed in context with the habitat preferences of the instream fauna. 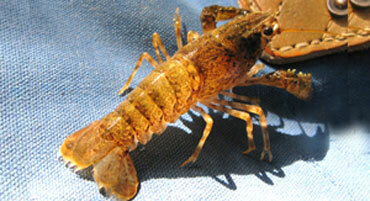 Freshwater Koura (left middle) often burrow into the banks of waterways. Aquatic Ecology has undertaken ecological assessment and AEE preparation for many sub-divisions in the wider Christchurch Area. These include those for Regents Park, Waitikiri, Ellington, Aidanfield, Clearwater, Oxford Park, Broadfield Estates, Prestons, Spring Grove, Longhurst, Liffey Springs, and Castle Hill, as well as a supermarket carpark in Rangiora. Our particular expertise in this area lies with rigorously assessing the ecological sensitivity of the receiving water, and its baseline water quality. We also undertake the assessment of potential impacts of the proposed discharge, and make recommendations to mitigate potential adverse effects. Often ecological monitoring is a consent requirement. Aquatic Ecology undertakes both short and long term monitoring. We monitor consents for a range of activities that can impact on waterways; these include bridge and roading works, vineyard operations and subdivisions. Pictured above is the Janet Stewart Reserve, Christchurch. 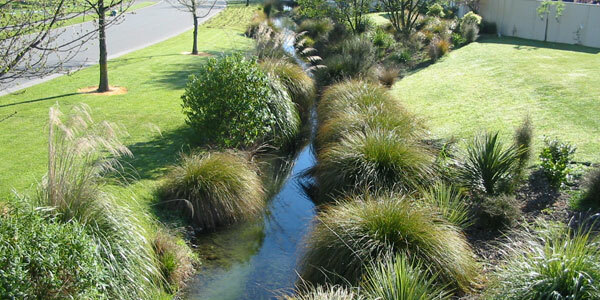 Aquatic Ecology has had extensive experience at monitoring the rivers around Christchurch City, but has also been involved with monitoring work in North Canterbury and Marlborough. The photo above shows part of a sample of brown trout fry from the Styx River catchment. They were measured as part of a project to assess the spawning success of trout in a tributary stream. Aquatic Ecology has undertaken research into factors affecting the success of trout ova development in streams which have a range of habitat quality. This work has been funded by Fish and Game Councils and Environment Canterbury. The photo above is of a data logger measuring water quality in a trout redd (nest). Photo above on the left is of trout eggs with visible embryos. Aquatic Ecology has assisted engineers with the design of a fish friendly culvert (right). The culvert allows water to drain to the sea when its water level is high, while at the same time allowing fish to migrate to and from the sea. 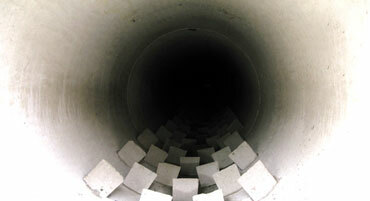 Our solution was to place wedge-shaped flow baffles within the pipe. These produce areas of low water velocity in the pipe, and the migrating fish are able to rest behind those, moving upstream in a zig-zag fashion. The baffles are shown in the top photo to the right. The photo bottom right shows the outlet of the pipe, with Pegasus Bay in the background. Unfortunately this habitat has been disrupted by earthquakes, but will be remediated in the future. On the far left (above) is the completed development (pre-earthquake). 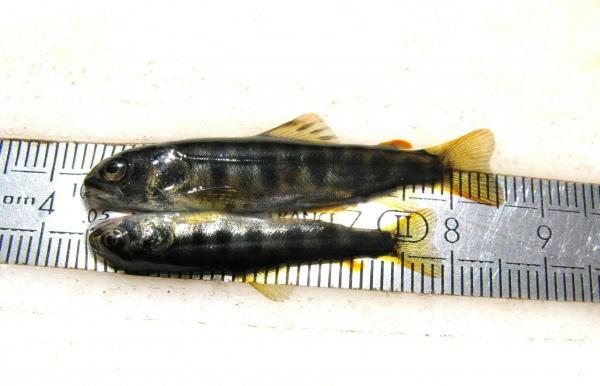 Aquatic Ecology has also undertaken inanga spawning surveys in the Greater Wellington Region since 2001, with the latest survey in 2019. Inanga spawn at the base of grasses and herbs (see photos above) which are only submerged during high spring tides, near the saltwater-freshwater interface. After spawning, the vegetation and associated eggs are above the water line for about a month, before a subsequent spring tide causes them to hatch. The suitable reach of a river is limited in extent. In the Avon River, the extent is being reduced by invasive plants such as yellow flag iris. 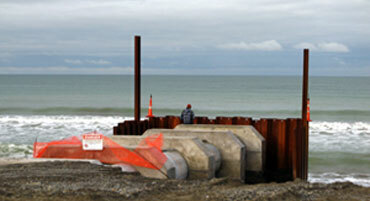 To help alleviate this, Christchurch City Council established a new spawning site at the mouth of Corsers Stream, with the design input from Aquatic Ecology. Aquatic Ecology routinely get involved in the consenting of bridgeworks by engineering companies, providing advice on the timing of construction to minimise the impact on instream life. This may involve assessing the resident ecology, and selecting a level of mitigation appropriate for that particular site. This has, at times, also involved the transfer of fish and invertebrates into upstream areas away from noise, vibration, and suspended sediment. Bridge sites include Tram Road Bridge (Kaiapoi River), Aidanfield Drive Bridge (Heathcote River), Marshland Road Bridge, and Main North Road Bridge (Styx River). Aquatic Ecology has also worked on a number of small bridges on Banks Peninsula. 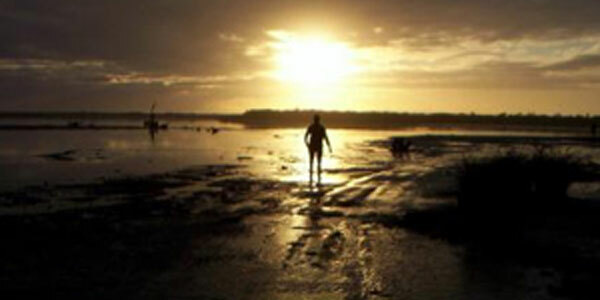 Following the Christchurch earthquake, Aquatic Ecology has been involved in the remediation and construction of many works that have required consideration of the aquatic environment. Such projects include the Town Hall, sewer lines and river terraces, including Canterbury Earthquake Memorial which borders the Avon River. 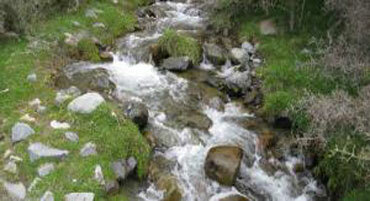 The re-alignment of streams is becoming increasingly common and can be an ecologically complicated process. Aquatic Ecology has been involved in many re-alignments and can provide advice as well as undertake onsite fieldwork. 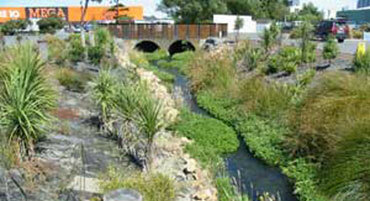 Pictured (left) is a re-aligned section of South Brook Stream, Rangiora.